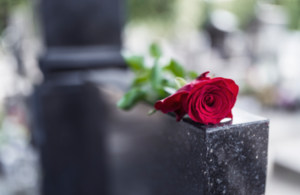 The Competition and Markets Authority (CMA) has today launched an in-depth market investigation into the funerals sector. Following publication of its interim report in November 2018, the CMA consulted on whether to progress to a market investigation. Having carefully considered the consultation responses, the vast majority of which were supportive of the proposal, the CMA remains concerned about the effectiveness of competition in the funerals sector and will therefore carry out an in-depth market investigation. The investigation will focus on the supply of services by funeral directors and the supply of crematoria services. High prices in relation to crematoria services – the largest private operators have implemented average price rises of between 6% and 8% each year for the past 8 years and some local authorities have also implemented large increases in fees. The purpose of a market investigation is to further examine the competition concerns identified and decide what action, if any, is appropriate. The CMA has power to make legally binding orders requiring changes to be made. The investigation will be conducted by a Group drawn from the CMA’s panel of independent members, chaired by Martin Coleman. The other members are Richard Feasey, Sheila McClelland and Karthik Subramanya. Alongside the market study, in conjunction with Age UK and the Money Advice Service, the CMA has today produced advice for those who need to arrange a funeral, so that some additional support is available to people immediately. A report of the CMA’s market study, and further information relating to the market investigation are available on the funerals market study page. On the two occasions I had t organise a funeral I rang the several local companies and as the article says funeral companies were reluctant to discuss or disclose prices. Some sujested to leave it to them at “this very sad time”. Others failed to explain dispersmen fees as I would not need to understand them they would see to it. During my years working I called upon coffin manufacturers, as their prices were considerably cheaper I asked if I could buy direct, no problem I was told, funerals are a rip-off. I have told my children to get the cheapest cardboard coffin and scatter my ashes. My Father had a pre-paid plan, he'd paid just over three and a half K - yet I still ended up with a bill for almost £400 (disbursements). As an Executor this caused me no end of trouble with a penny pinching/money grabbing relative who wrongly assumed this had been included in the plan. If there is such a thing as re-incarnation then I'm hoping to come back as either - a Funeral Director or the Duke of Westminster.